Center renewal packets have been mailed. This packet includes the PATH Intl. Standards for Certification and Accreditation CD. Please watch your mail. If you need permission from a commercial printer to print the PATH Intl. Standards for Certification and Accreditation, the permission letter can be found here. It is the desire of PATH Intl. to provide the maximum opportunity to offer registration scholarships for the PATH Intl. Conference and Annual Meeting, and the association works diligently to obtain funding sources for such scholarships. PATH Intl. is pleased to once again offer the 2016 conference scholarship and the 2016 Marjorie V. Kittredge Equine-Facilitated Psychotherapy and Learning Scholarship. Applications are due by email to Karen Province no later than June 20, 2016. Applicants will be notified by email on July 29, 2016. Everyone is encouraged to apply! Click below to download applications or find them on the 2016 PATH Intl. Conference page. The deadline to submit abstracts for the PATH Intl. Conference is March 14, 2016. No submissions will be accepted after March 14. Abstracts may highlight an organization's innovations or personal research and how they may benefit the equine-assisted activities and therapies field. 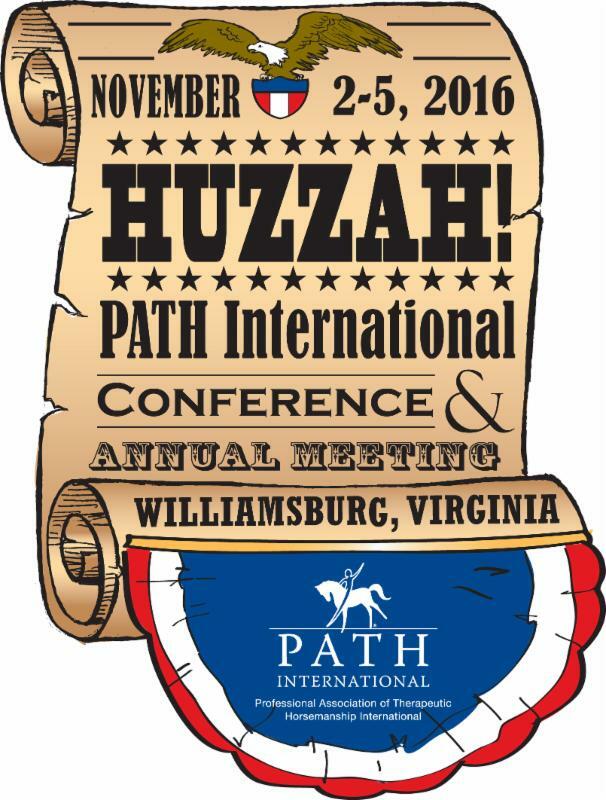 The 2016 PATH Intl. Conference is November 2-5, 2016, in Williamsburg, VA. Nominations are due no later than May 20, 2016, 11:59 p.m. MDT, but it is not too soon to start filling out your nomination forms to avoid a last minute rush! The nomination process is now easier than ever. All forms can be filled out online; simply fill out the online form and your response will be automatically submitted! PATH Intl. is pleased to announce the launch of the online course Spinal Cord Injuries, Paralysis and EAAT. This 3-week PATH Intl. education course aims to provide focused education on conditions related to spinal cord injuries (SCI) and paralysis, and to discuss best practices for providing equine-assisted activities and therapies (EAAT) to individuals with physical and/or emotional challenges related to living with SCI and paralysis. The course will offer instructors an understanding of SCI conditions and how to apply this knowledge to the development of safe and effective EAAT lesson plans. Course curriculum will focus on integrating new ideas for offering a participant-centered approach to planning and facilitating EAAT. PATH Intl. thanks the Christopher and Dana Reeve Foundation for underwriting the content development of this new online course. Horses That Heal, the documentary by PATH Intl. Media Sponsor RIDE TV and F2 Media, is available for purchase. Visit the iTunes store and RIDE TV to order your DVD today. Watch the trailer here. PATH Intl. Centers interested in hosting a screening in their communities should enter the Screening Showdown Competition by filling out a requirements form and sending to RIDE TV by March 31, 2016. RIDE TV and F2 Media will fly out representatives to the winning center's screening. The best way to stay in the loop with everything Horses That Heal is to join RIDE Nation by going to the website, clicking "Join" and filling out the form. 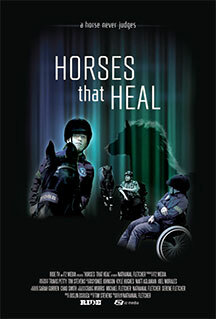 Be sure to like the Horses That Heal Facebook Page (Horses That Heal) and follow it on Twitter (@HTHDocumentary). PATH Intl. thanks the more than 1,000 instructors who participated in the Job Task Analysis survey in February. This analysis, conducted by an independent third party, will supply a foundational blueprint for the job of a therapeutic riding instructor and provide a basis for determining key competency criteria. This is the first step in a continuous process of improving PATH Intl. certification programs. We are happy to announce that the winner of a $100 American Express gift card was survey respondent Ellie Hardnack. Congratulations, Ellie! I am helping run the Instructor Training (IT) program at our barn and one of the hardest things we run into is teaching the ITs how to give effective - and lots - of feedback. Some catch on really quickly, and others just don't know what to say or how to say it - they have a less developed eye and verbal response. Mentors, what are some things that have helped you teach new instructors how to improve the amount and kind of feedback they give? Instructors, what helped you learn to give good feedback while teaching? It is often challenging to find ways to talk about working with horses as sentient beings, and to articulate what it is like to have a horse as an active co-facilitator in groundwork sessions for equine-facilitated psychotherapy and equine-assisted learning. There is an invisible, nearly indescribable quality that we are seeking in interactions. It goes beyond accomplishing measurable skills that we are used to seeking in performance-oriented, typical riding lessons or the usual horse training. Online center renewal for 2016 is available, and it is especially easy to renew your membership before it expires.